Companies are a direct target for many cyberattacks today, making it strategically and tactically important to protect the information the business cannot afford to lose. Operations that depend on IT systems for operation, monitoring and control are particularly vulnerable. Insufficient security can jeopardize competitiveness today, and even the long-term future. In 2018 NIS and GDPR will increase the demands on how data is managed and protected, and in 2019 companies in Sweden will be affected by new security protection legislation. Suppliers and partners will be scrutinized more deeply, and only those who can demonstrate good processes and security practices will win. 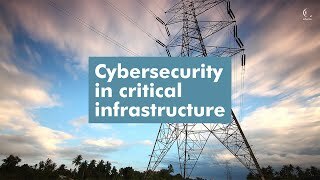 Advenica helps customers to quickly upgrade information security to make sure that business-critical production environments are not shut down in the event of a cyberattack. As a first step, we perform analyses of the company’s existing IT security. We can also identify information that should be protected and recommend more efficient information security processes. We offer several solutions including data diodes which restrict data traffic to being unidirectional, without the risk of information leakage, for example between ERP systems and operating systems. With Advenica’s encryption and segmentation, networks can be separated and information can be connected securely at the same time.